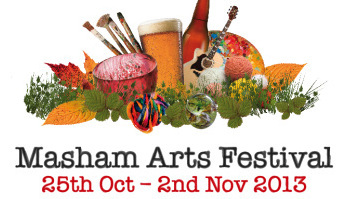 The Beermat Show is touring to Masham Arts Festival 25 October – 2 November 2013 and we are seeking new additions to the collection. Beermat Show originated at Temporary Art Space, a project directed by Alice Bradshaw, Bob Milner, Tom Senior, Georgia Boniface & Kevin Boniface, in Halifax in 2009. It has since toured to Wakefield, Durham, Huddersfield, Leeds and Shipley. 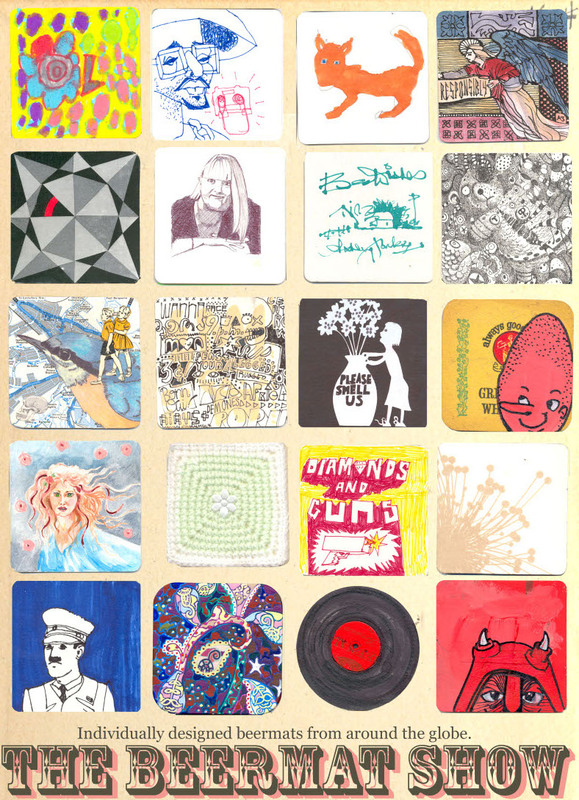 Beermat Show features over 1000 individually designed contributions from across the globe and new additions are sought for inclusion in the festival exhibition. You can deliver your beermats to the collection curators Alice and Bob in advance of the exhibition to be included or visit to festival and make a beermat in the exhibition shed. Deliver to: Bob Milner, Studio A11, Westgate Studios, Wakefield, WF1 1BW (Contributions arriving after deadline will be included in future exhibitions).